GooglePlus Helper: The best feature of Google+? The search! The best feature of Google+? The search! Are you an aspiring photographer, enthusiastic kayaker, artist, designer, writer, diver or golfer, looking for inspiring authors or musicians, fascinated by zombies? Looking for business contacts or just pure pleasure or knowledge? Fret no more, for in Google+ you’ll find lots of people with the same zeal by using the search. Adding people or pages with the same interests adds to the Google+ experience: No need to be friends with anyone you add. Following someone on G+ can be like a one way street. How can I search for a certain topic or individuals with the same tastes? You can use the filters at the top of your search stream to view just the type of content you want to see. - Everything, People and Pages, Communities, Google+ posts, Photos, Hangouts or Events. - From your circles, From you or To you. - Best of or Most recent. You can email or share the search results link. Clicking on the Explore instead of search you get a box with more topic related hashtags and the results can be more random / fun than in the actual Google+ search, suggested by the algorithm. 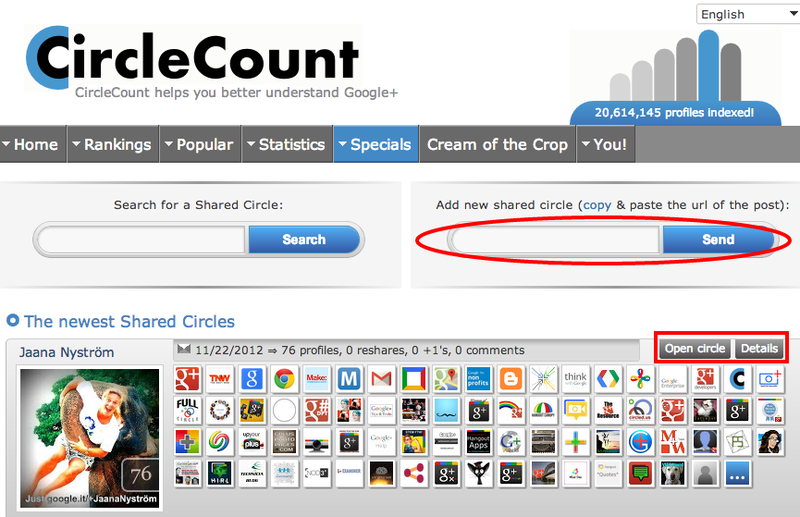 Circlecount.com is a good place to find new people sorted by sharers: When you share a circle, copy the URL of the post by clicking on the time stamp and add it to the page. With the Communities came the search possibility inside all of them, but only in the browser, not on the Google+ App. Before asking a question from the Community members it might be a good idea to search first for the keyword or sentence. Now the same questions are being posted every day and before we get a Frequently Asked Questions or FAQ -category inside the Communities, answering the same old same old is tiresome. People keep asking why their posts to Communities show up on their profile. "Posts in communities show in my stream"
This has been answered in many ways with a lot of opinions and speculations, too. Now one can choose if any posts show or not! Google listens. You can also click on a certain category in a community; Now when you initiate the search, it will only give you results from that topic / category. Sharing a category in a post or outside Google+ by copypasting the URL is also possible. (Always test the link before sharing: You may have to remove the u/0/b/ from Any G+ URL before sharing outside, especially from a business page). Search in the Google+ Photos search bar (search for your photos) for the name of the person, without the + in front. 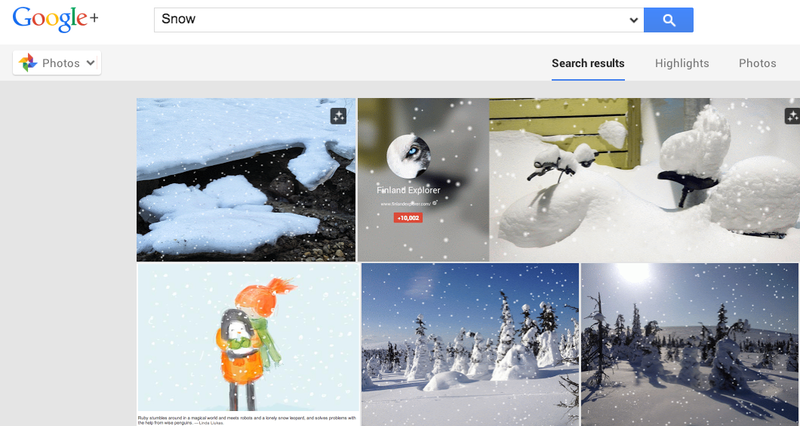 Or use keywords for the images you want to locate inside your own Photos on Google+. You can also click on any of the choices offered, for instance Auto Backup brings all those images as result. - then check the Most recent. Enjoy searching for your passions! One of the biggest challenges and blocks for people hesitant to "invest in another platform" is that they think no one of interest to them is on it. This post provides concrete ways to find people other than the fabled "geeks & guys" people think camp out here. The problem with many is the mindset which is still FB-bound. No need to explain the uncircling reasons either.